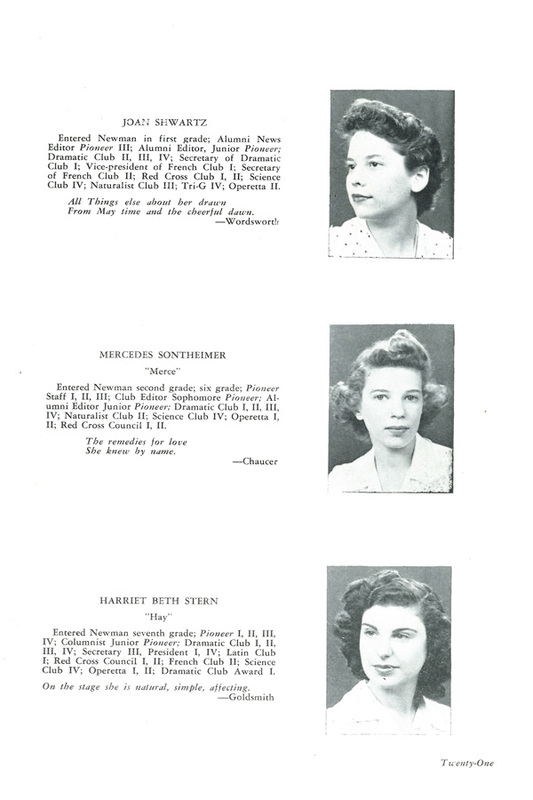 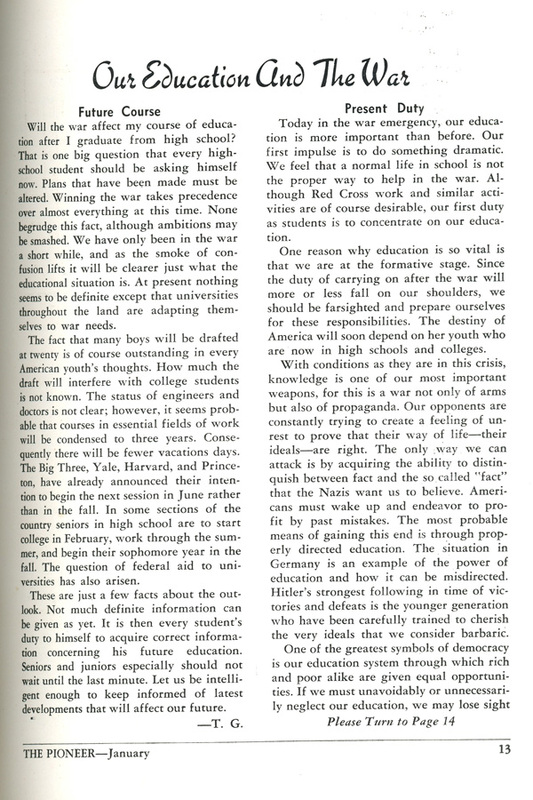 "The destiny of America will soon depend on her youth who are now in high schools and colleges." 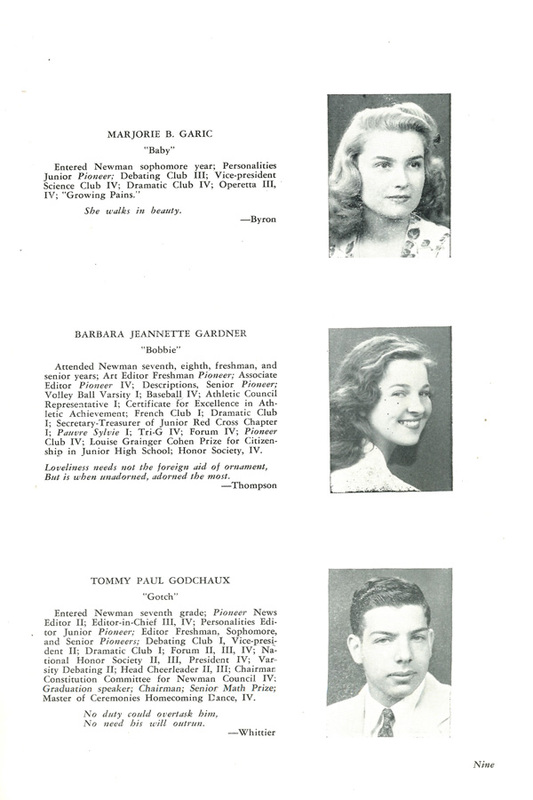 "It didn’t occur to us that we'd end up in the service," yearbook donor and WWII veteran Tommy Godchaux stated during his interview. 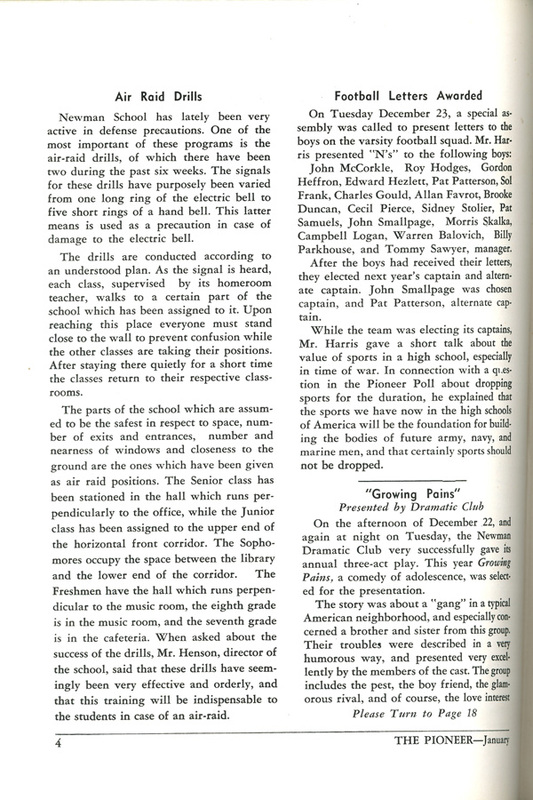 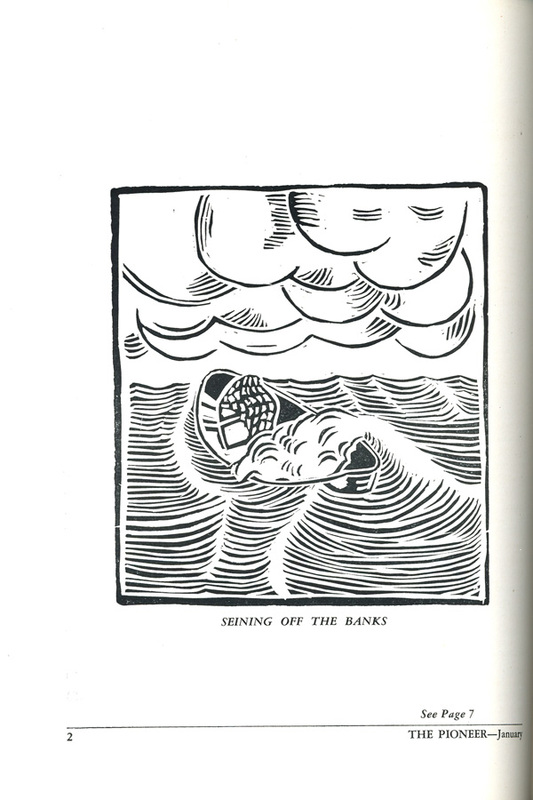 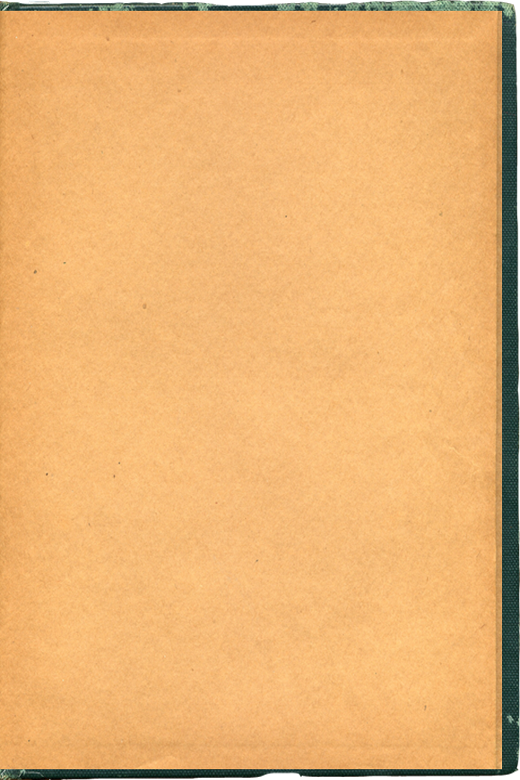 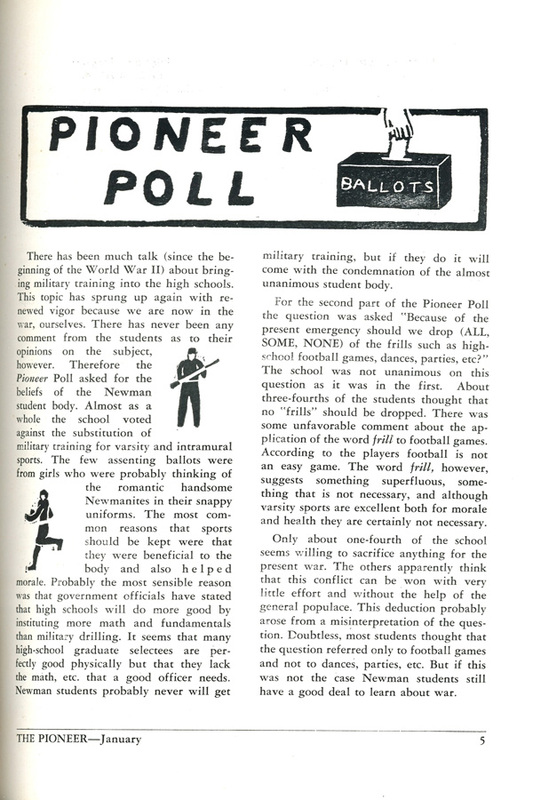 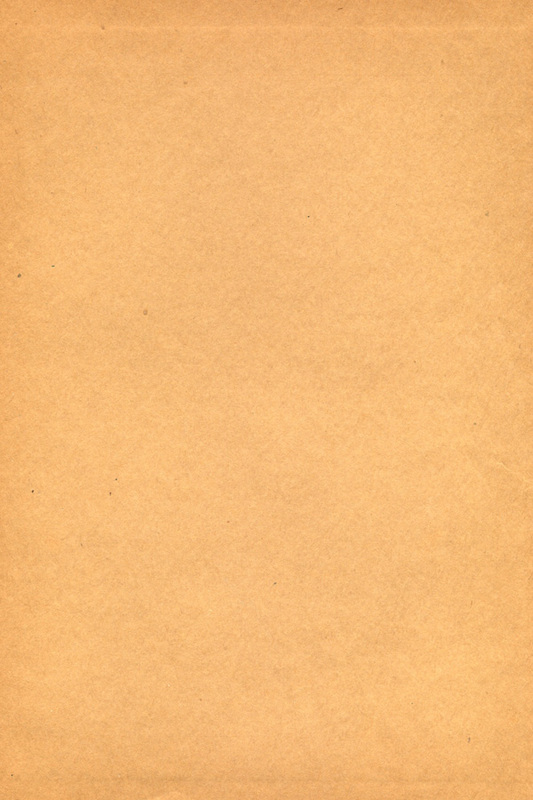 Despite his feelings at the time, the pages of the 1942 Pioneer yearbook from the exclusive Isidore Newman School are chock full of wartime imagery, from the title illustration featuring an armed Uncle Sam carrying a tank and a Higgins Boat landing craft to its advice column for boys and girls. 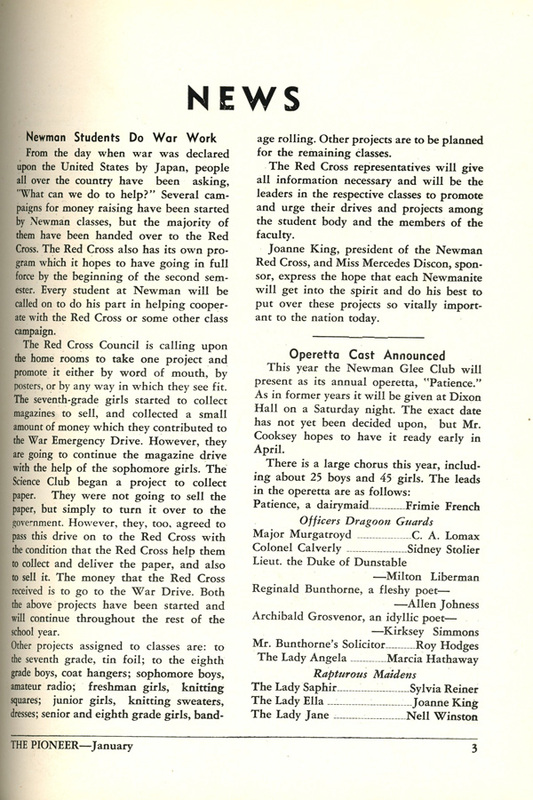 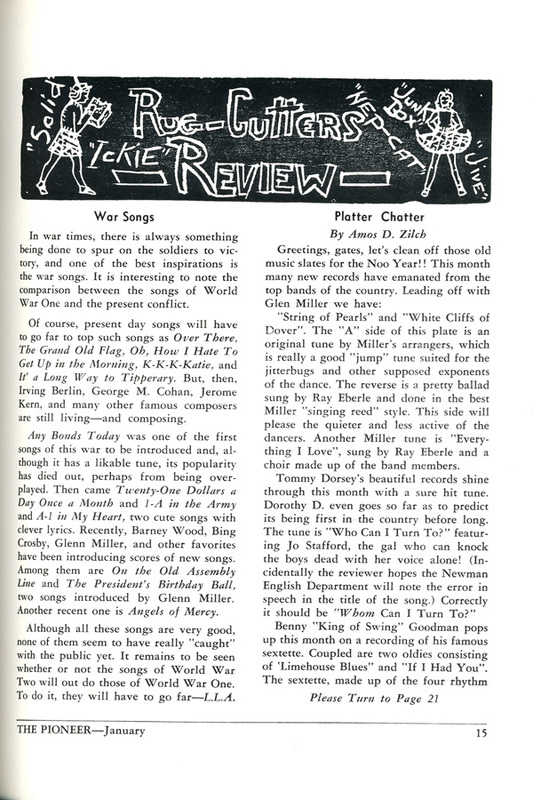 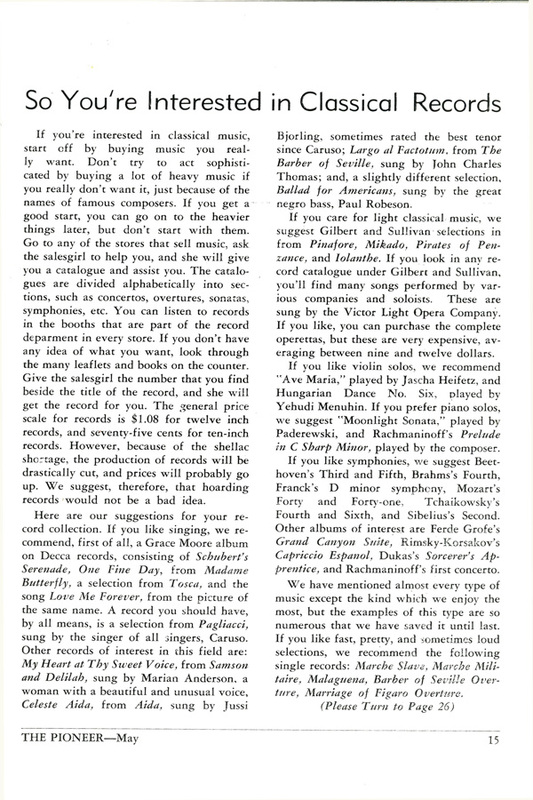 Everything from popular trends to contemporary music is interpreted through the war, including the role students must play in supporting the Allies. 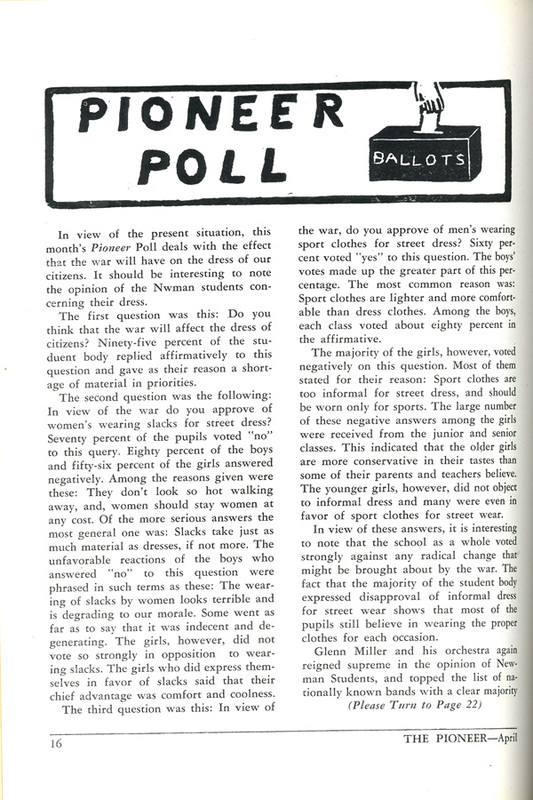 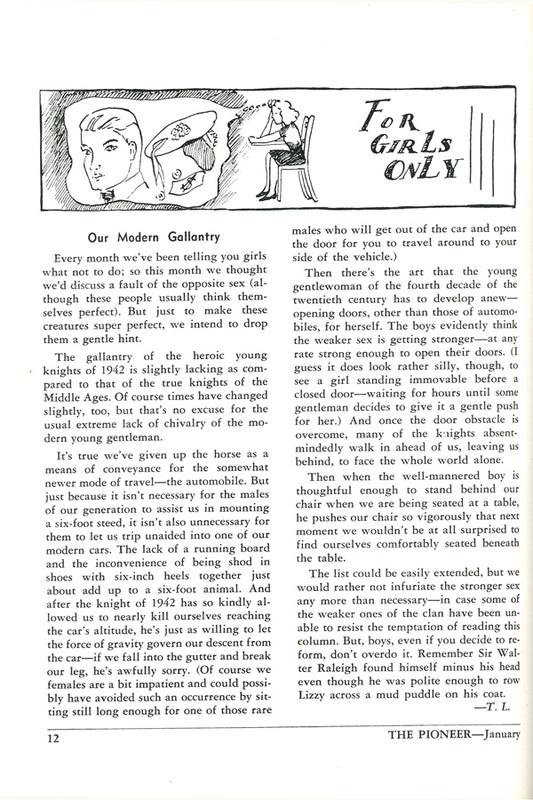 The Pioneer also reveals student attitudes toward gender roles in features like "For Girls Only" as well as the school-wide Pioneer Poll, in which 80% of boys and 56% of girls voted against women wearing slacks. 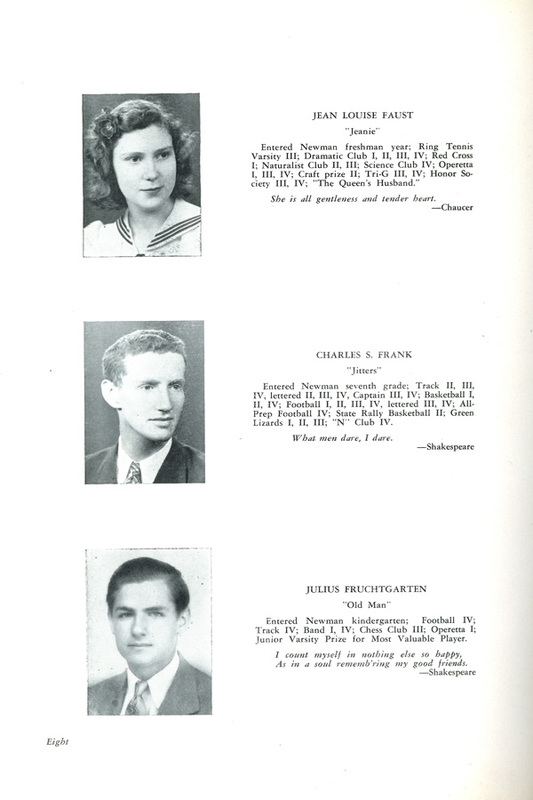 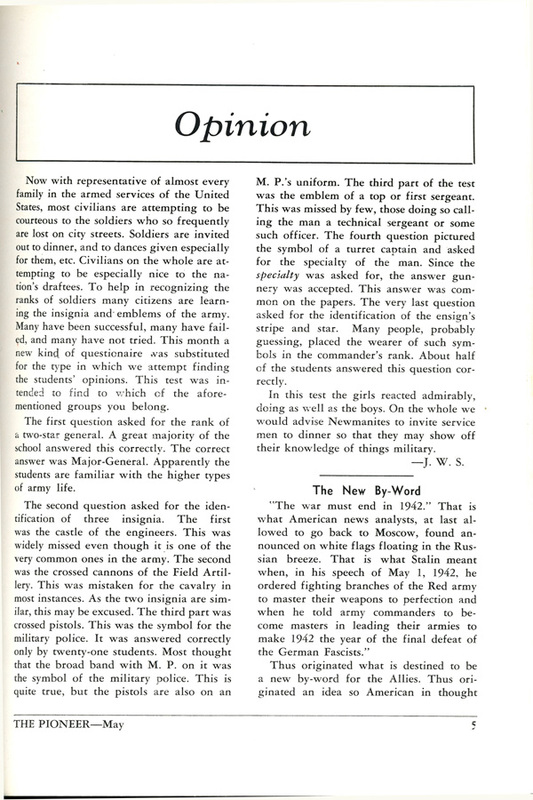 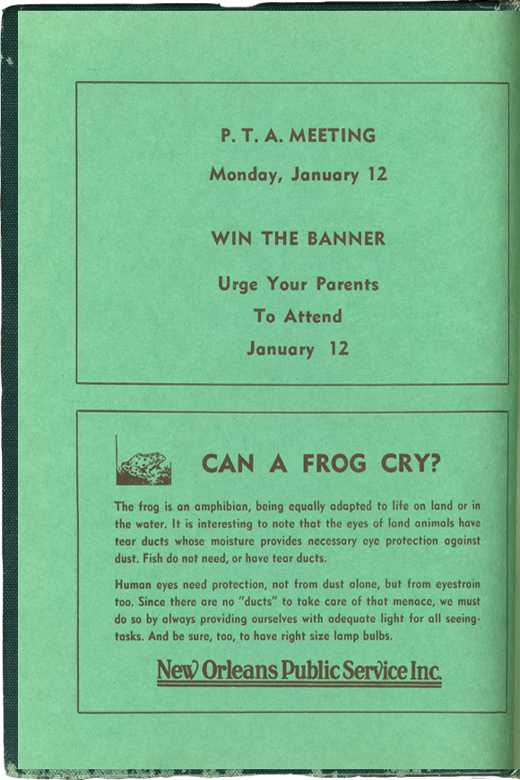 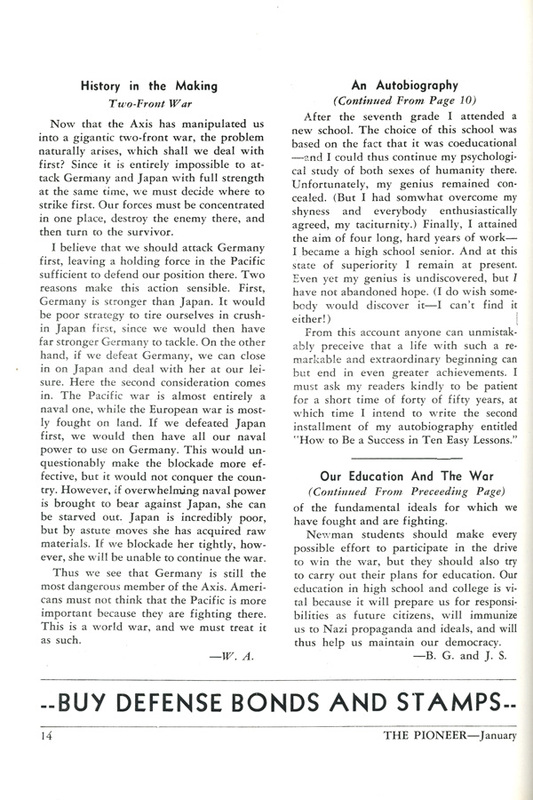 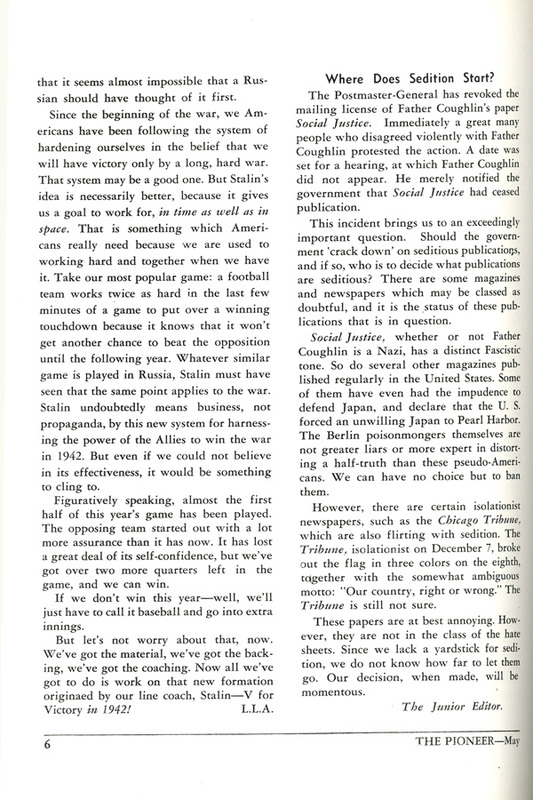 In February 1942, with America's involvement in WWII just three months old, one student ponders "Should we hate our enemies?" 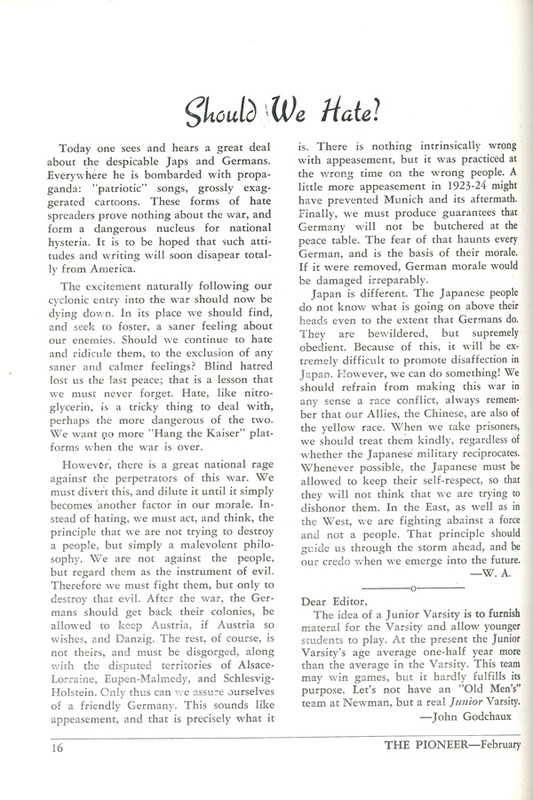 In conflicts of both today and the past, do you think it is right to hate our enemies? 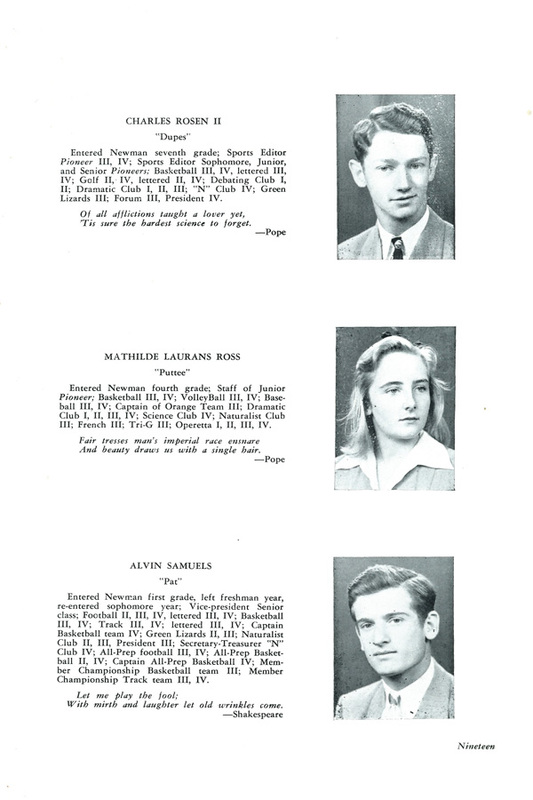 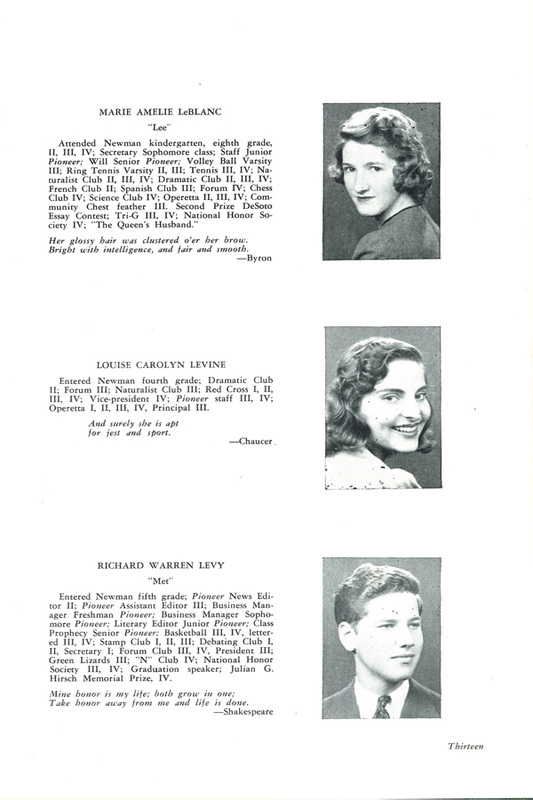 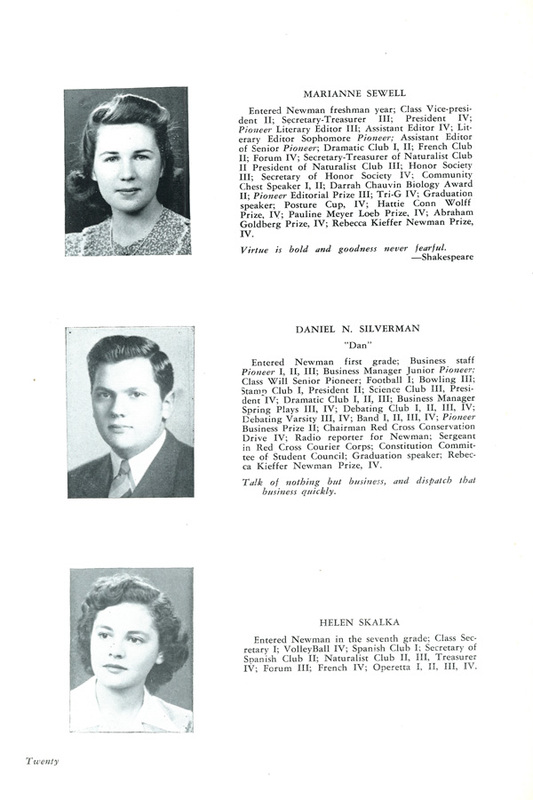 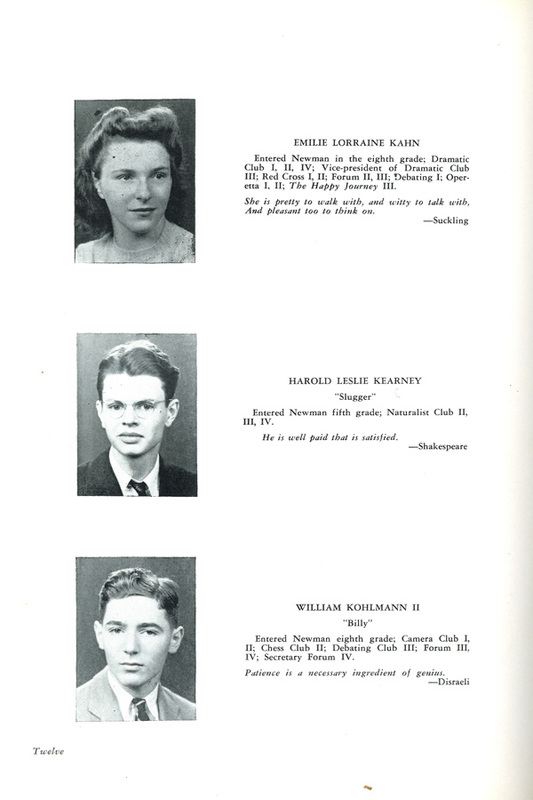 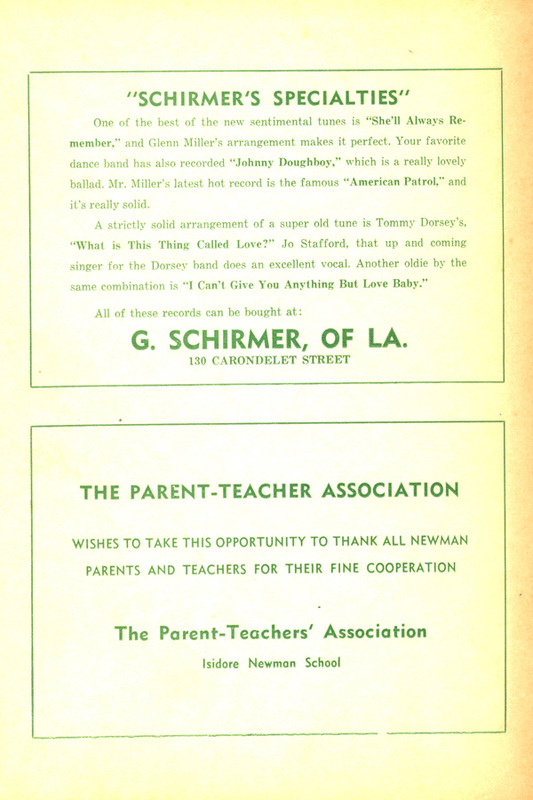 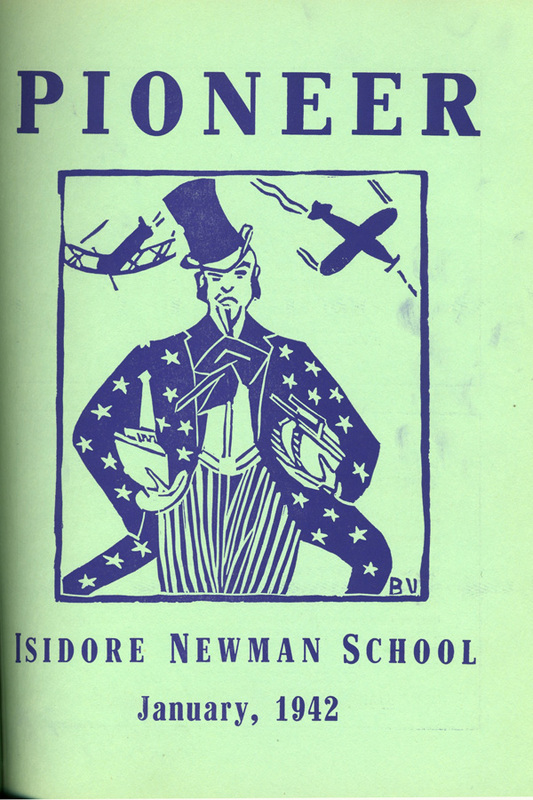 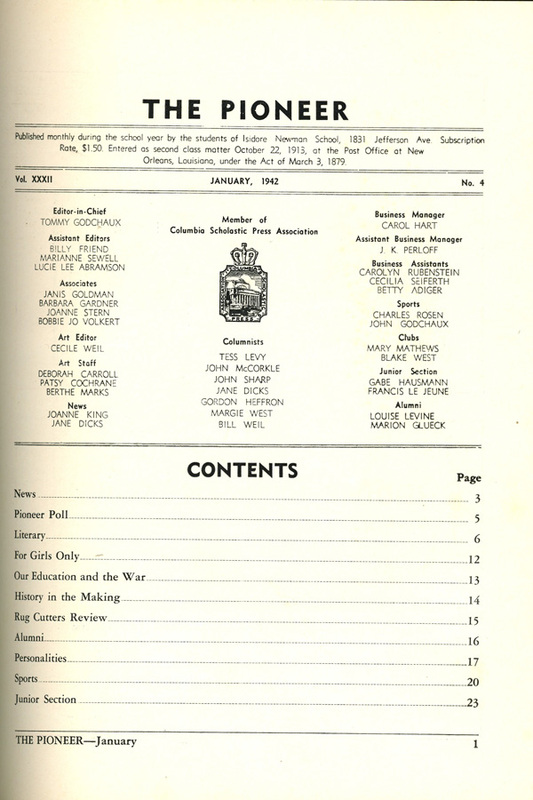 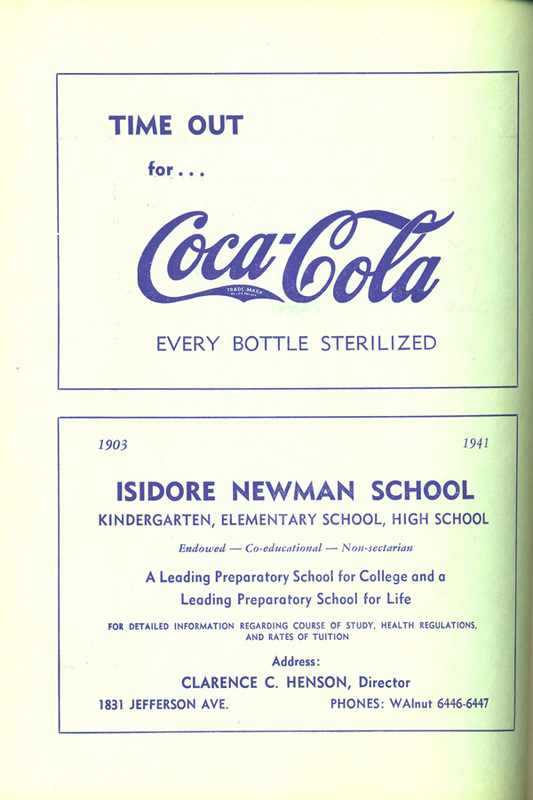 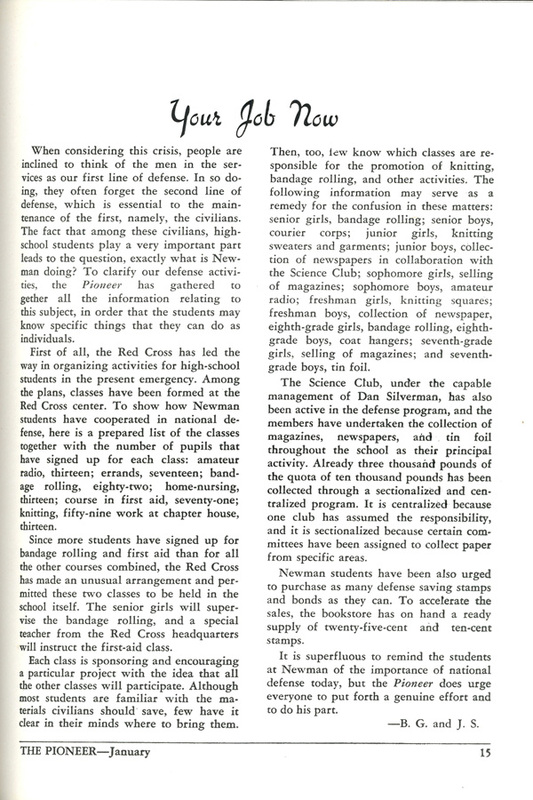 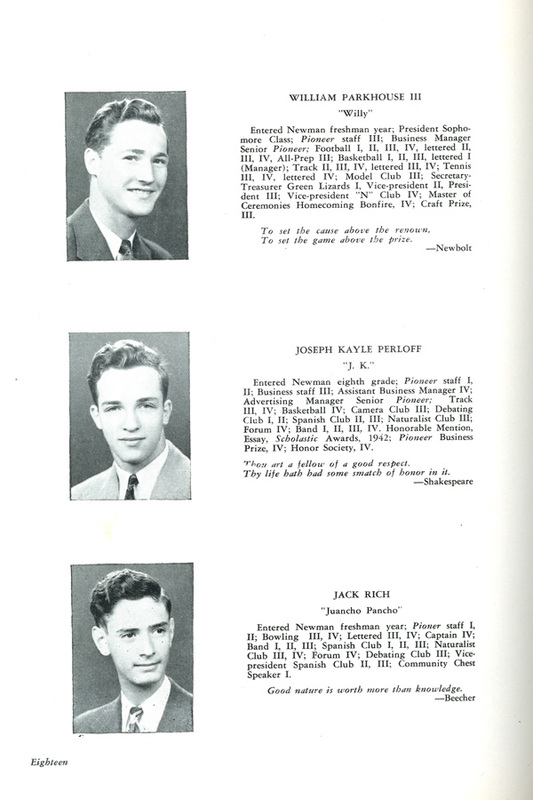 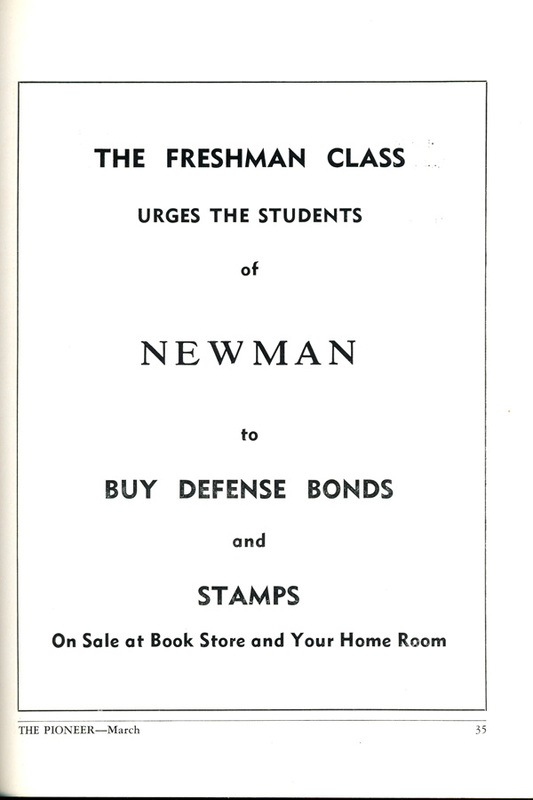 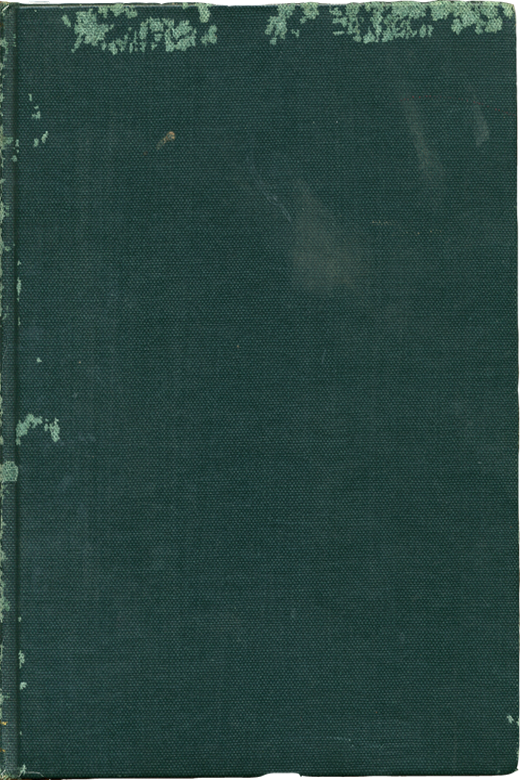 Learn more about school life at Isidore Newman during the war by listening to Tommy's interview in the Oral Histories section.